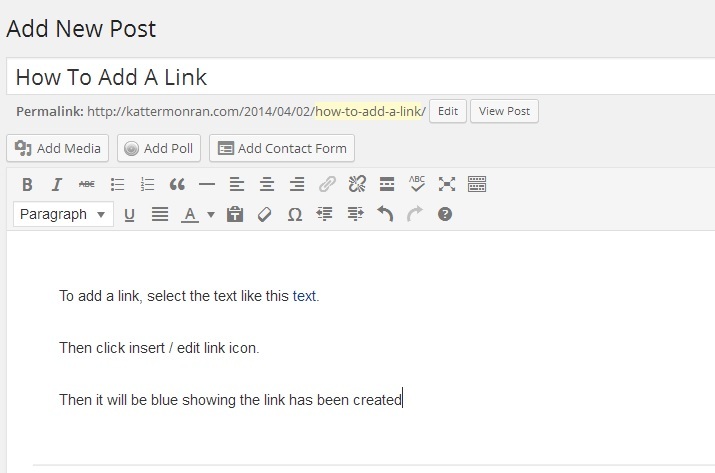 To add a link, select the text like this text. 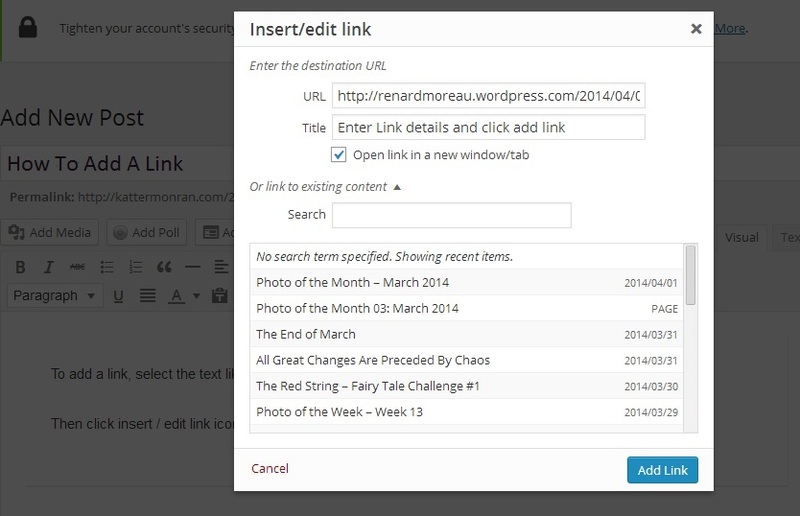 Then click insert / edit link icon. This entry was posted in Bloggage and tagged April, Blog, Information, Link, Postaday, WordPress. Bookmark the permalink. [ Smiles ] Hmmm. 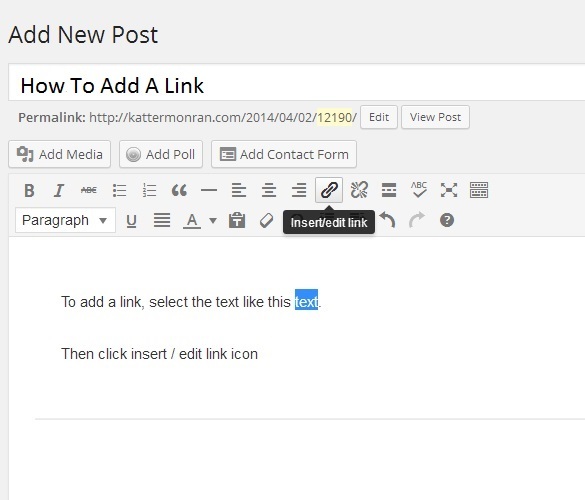 I never realized that there were so many people who didn’t know how to add a link to their WordPress blog. You’ve done a lot of WordPress users a lot of good today, Al. Finally, something I can understand on WordPress, thanks to a fellow blogger with a big heart., A1 of A Mixed Bag. Thank you Penny. I am glad I was able to help others. I originally did it to help someone on another blog who asked. I was very surprised with the feedback. Thank you for adding yours. 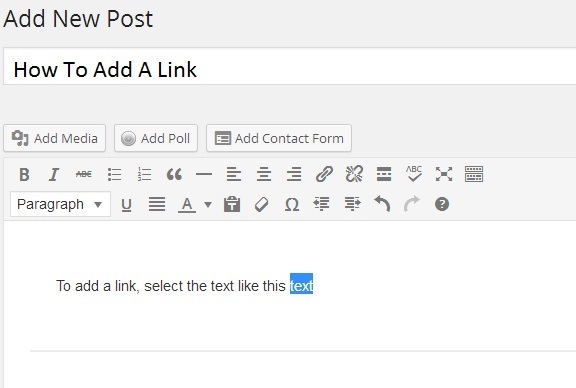 Thanks so much Al, I’d always wondered how to add link without writing the whole text and voila! you did it. I’ll bookmark this post or just plainly copy it. That way I can refer to it when I need it. I need to remember this! Reblogged this on The Boi Poet.